I’ve recently been discovering some pink and pretty drugstore makeup picks – everything is feeling really fresh and that feels so perfect for right now (I’m ready for good weather everyday now, please). 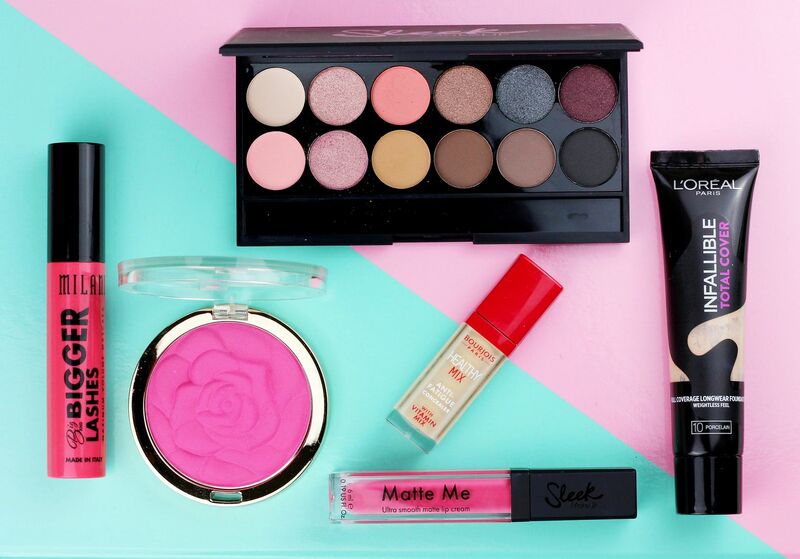 From a full-coverage foundation to the prettiest blush around, I’ve got it all covered. Base wise, I’ve been trying the L’oreal Infallible total cover foundation; it’s full-coverage, thick, heavy-duty stuff! I’d say this reminds me of the KVD formula, but maybe a little bit harder to blend. It does cover pretty much anything, so it’s one to try if you’re looking for full coverage – I think it works best mixed in with something sheer to add longevity. With that I’m loving the Bourjois healthy mix concealer which is amazing for under the eyes! A lot of budget concealers tend to be a little bit too thick but this one is so blendable and spreads really easily. 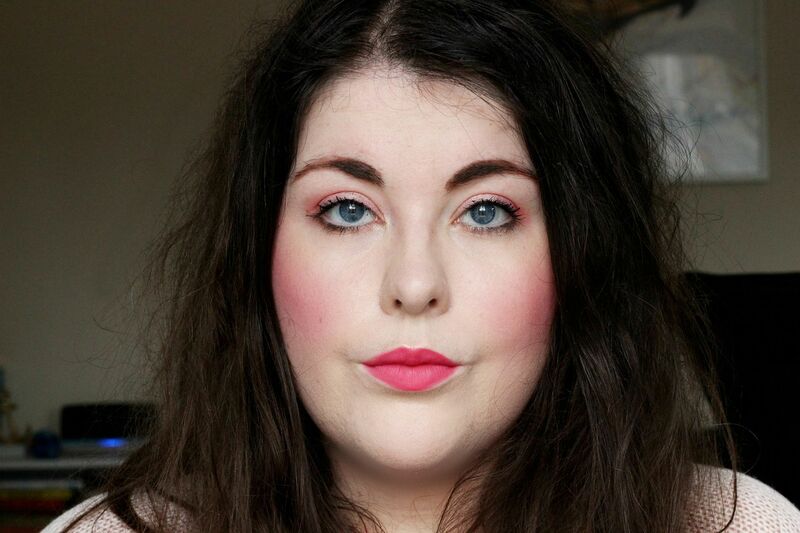 I’m going pink for spring with lips and cheeks! I am obsessed with the Milani Rose Powder blushes (prettiest blush ever) and the shade Love Potion is such a bright and pretty pink shade that really brightens the complexion. To match it, the Sleek matte me liquid lipstick in french fancy is the perfect mix of being pink and pretty without being too neon. Eyes wise, the Sleek eyeshadow palette in oh so fancy is so pretty and fresh – the pink shimmery shades are lovely and a nice little twist on the usual champagne shades. My mascara right now is the Milani Big + Bigger lashes which is very nice for volume. I’m finding mascara really time-consuming at the moment because every formula seems to take me about five minutes to get it right – I want a mascara that gives perfect results in one coat! What makeup are you wearing right now?